It goes without saying that a guitar that was released over 35 years ago and only produced for 3 years is going to be pretty rare! However the real trouble is finding one in good condition. This has proved to be hard work with any vintage guitars, but particularly with something like a Super Flighter. They were marketed and used as playing machines – built to last, with excellent playability and unmatched versatility. Thanks to this, it’s very hard to find one which doesn’t have significant fret-wear, scratching, or other cosmetic damage. To anyone searching for a Super Flighter purely as a guitar to play, the only things to be concerned with would be fret-wear and condition of wiring, but to a collector this can be a real problem. What makes it even worse is that most people who have these guitars in good condition are very unlikely to sell them! Surprisingly, it’s not unusual to find Super Flighters which have been modified or “upgraded” regardless of the versatility they already provide straight from the factory. Things like pickup changes aren’t so bad if the originals are supplied, but there are plenty of other modifications that show up quite regularly. The most common of these modifications being the addition of a flip-switch to an SF700 to enable coil-tapping. This was seen as a cheap and easy way of adding the extra sonic capabilities of the SF1000 to a cheaper model of guitar. Although the best way to do this (without damaging the guitar) would be to add a push-pull volume pot, it’s much more likely to see a guitar with a hole drilled through the body and a flip-switch added. Some more obscure modifications I’ve seen have been the addition of extra pickups (yeah, it’s happened at least once…) and reshaping of scratchplates. These are unusual, but do still happen! To make our plight even more desperate, possibly the worst thing you could do as a collector would be to buy a Super Flighter and plan to “buy the case later”. If you’re looking for a “complete” purchase so you have a Super Flighter and fitted hard case, it’s certainly worth holding out until you find one that’s supplied with the OHSC as they are practically impossible to find as a separate sale. Although SG hard cases occasionally appear on eBay (approx. £100/€120/$165), the Super Flighter cases (Model SFC) are much harder to come by due to the fewer number of them produced. Interested in finding a Super Flighter then? If you live in Japan it’s probably not that hard, there are often models in pretty good condition on eBay with fixed price listings. If you live in the UK you probably have a pretty good chance as well as the majority sold on eBay since 2010 have been UK listings! Should you be in mainland Europe you’ll have a decent chance of finding one, but if you’re in America you’re going to have a very hard time! 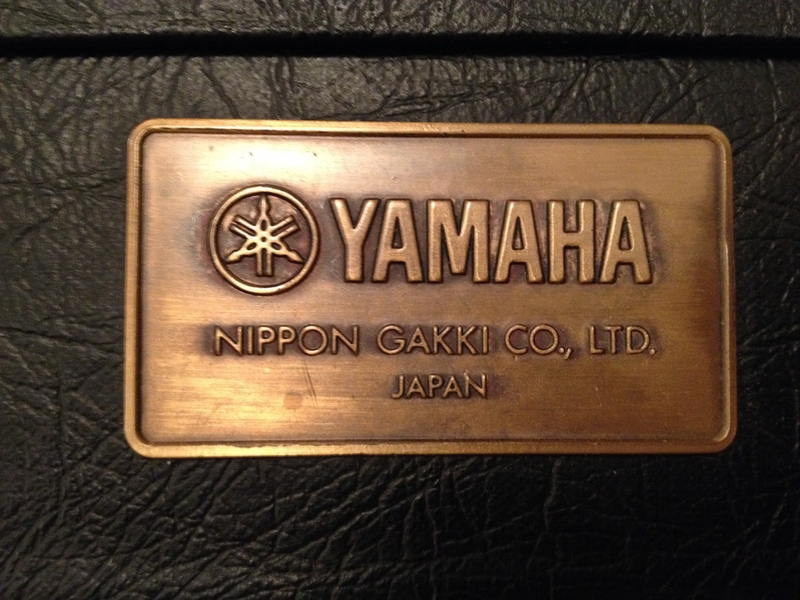 It would appear that at the time of release, Yamaha didn’t have very strong trade links (if any at all) to the USA. This means that most of the Super Flighters in America have been imported specially after purchase.